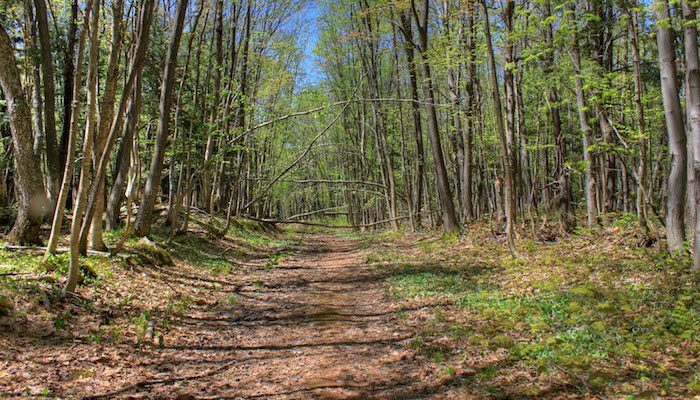 The Vasa Pathway winds through beautiful Michigan State Forest land with a series of loops, so runners can choose a round trip of 3k, 5k, 10k, or 25k. The dirt double track is well-groomed, but hilly, so choose the length of your challenge wisely. The trailhead is located off Bartlett Road in Williamsburg, where the path heads south along Acme Creek. It reaches the first loop after about half a mile. For longer routes, keep bearing right. When you’re ready to loop back, take a left.